The wheel bug wields some intimidating weaponry. Not many insects intimidate me, but I know I’d better respect a wheel bug if we ever meet. That’s because the odd-looking insect — when handled or aggravated — can inflict a wound that’s worse than a bee sting. Wheel bugs — gray in color and more than an inch long — get their name from the spiny, ear-shaped crest that protrudes from their backside. No one’s sure what purpose the crest serves, but among all North American insects, only wheel bugs have one. 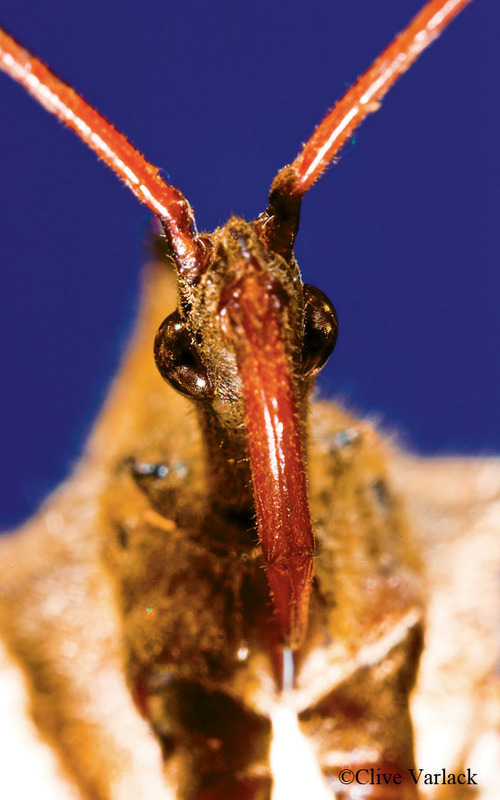 Biologists classify Arilus cristatus in the assassin bug family Reduviidae, which includes kissing bugs and thread-legged bugs. Like all true bugs, wheel bugs have a long, tubular mouth called a proboscis. At the tip is a needle-sharp rostrum, the weapon that warrants my respect. However, unsuspecting caterpillars, bees, beetle larvae and other soft-bodied insects don’t stand a chance around a hungry wheel bug. One stab allows the predator to inject toxic enzymes that both kill a victim and liquefy its innards into a slurpy meal. Wheel bugs crawl slowly and make a loud buzzing sound when flying. After mating, a female deposits 40 to 200 barrel-shaped eggs in a honeycomb cluster on foliage. She dies, and the eggs overwinter. In the spring, tiny red-and-black nymphs hatch out and disperse in search of chow. By summer’s end, they morph into bizarre bugs that are worthy of your respect … and mine!